4. Know when to contribute. 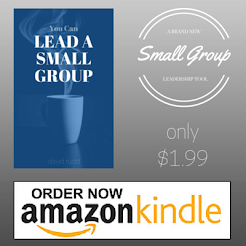 You don't need to do what your group members have already done. If a member has offered a gentle, appropriate correction to a wrong answer, it's not necessary to add to it. If the group has covered a question well and your answer is the same, go to the next question. However, if you have a different answer to offer, do so respectfully. "I thought of it from a different angle" and, "We really see this differently, don't we?" are good ways to introduce your idea. 5. Consult the group. When a member asks you a question, let the group add its input first. Someone else may have an excellent response. You can summarize with your answer afterward if it would help. 6. Monitor tangents. Decide if a tangent fits the purpose of the group. Allow those that are beneficial, but refocus a discussion that's gone too far off subject or degenerated into meaningless chatter. Sometimes a knowing smile and a "Getting back to question seven..." are sufficient. If your group wants to address a tangential issue in more detail, consider scheduling a separate meeting to examine it. 7. Affirm member's input without condescending. Don't over-comment. Correct their responses gently when necessary. 8. Encourage quieter members. Some members are more reluctant to share than others. Consider gentle invitations: "Jan, we'd love to hear from you. Do you have any thoughts on the subject?"